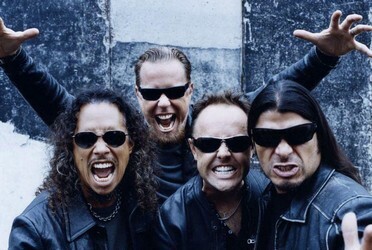 On the second day of May Metallica will enter the stage in Telenor Arena in Oslo. Norwegian fans have been looking forward to this concert for a long time, but soon it will be here. Metallica is a band that has had a fantastic history so far. But, it doesn’t seem to be over yet. Even though the members grow older, the band is still going strong, and in 2018 they will do a quite big tour in Europe. The tour will start on February 1st in Lisbon, then the band will continue to Spain, and after that continue to lots of nations all across Europe before they arrive in Norway on May 2nd. Telenor Arena is a beautiful venue in Oslo, and it is becoming the new center for fantastic concerts (replacing Oslo Spektrum which had the same role for a long time). The Metallica concert in Oslo will start at 18.00, but you better arrive early to avoid lines and to find the perfect spot long time before the band will enter the stage. Would you like to buy tickets for the Metallica concert in Oslo? You can use the ticket link beneath. There you will also find tickets for the Metallica concerts in Helsinki and Stockholm if you would rather listen to the band in another Scandinavian country. Visit the website, search for Metallica, and you are good to go!